I worked in the horticulture field while living in the Willamette Valley of Oregon until 1999, when we moved back to Montana to be closer to family. 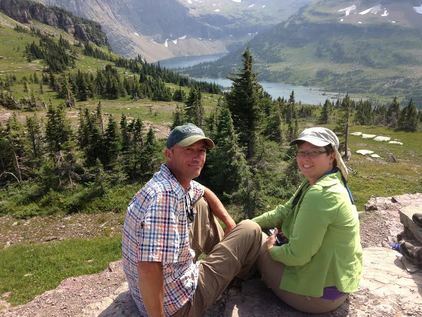 After moving back home to Montana, I knew I wanted a career change which included working for myself. My brother introduced me to a knifemaker, and I thought I'd give it a try. So in August of 1999, I picked up the Barney and Loveless book on how to make knives and tried to figure out what a ricasso was. I loved it and started making stock removal knives. 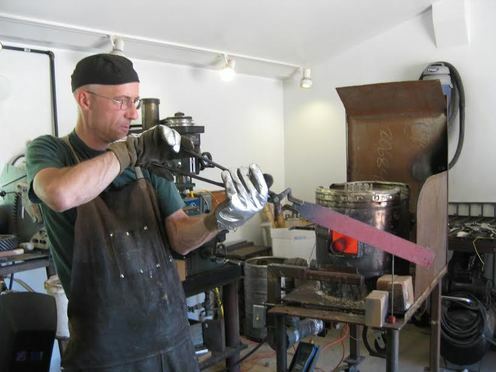 A short time later, Ed Caffrey introduced me to the forged blade. I was hooked! I've always been interested in creating things with my hands. As I look back on the path I have taken it seems designing and creating have always been a part of my life. I remember, while in college, watching a program about blacksmithing and saying to my wife, "I'm going to try that someday." Little did I know it would become part of my career as a knifemaker. After changing my college major from Architectural Design to Mechanical Design, I finally settled into the Horticulture Department in Landscape Design receiving my Bachelor of Science degree from Oregon State University. 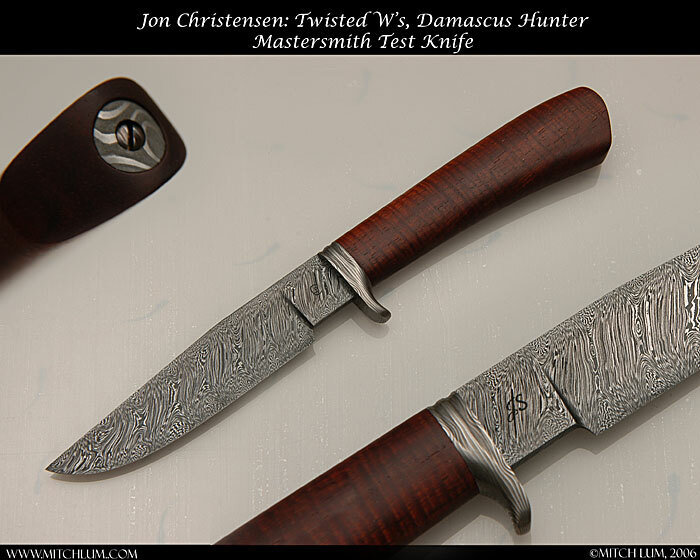 Being able to make knives fulltime, I focused on perfecting my art, becoming a Journeyman Smith in 2003 and a Master Smith in 2006. I am most proud of winning both the George Peck and B.R. Hughes awards. These awards are given by the American Bladesmith Society to the best knife submitted by an applicant for Journeyman Smith and Master Smith, respectively. I see my work as creating functional art, heirloom quality cutlery which will be in your family for generations to come. I prefer to work with natural materials and use traditional finishes. 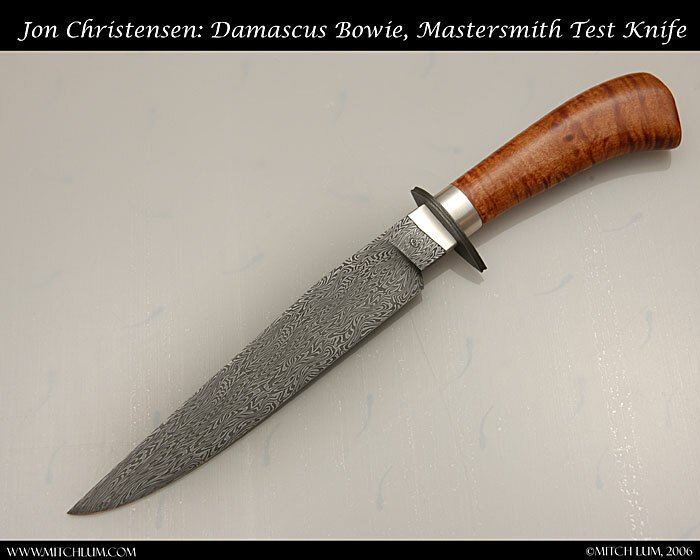 I make my own damascus steel and am always trying to create something new that will inspire. 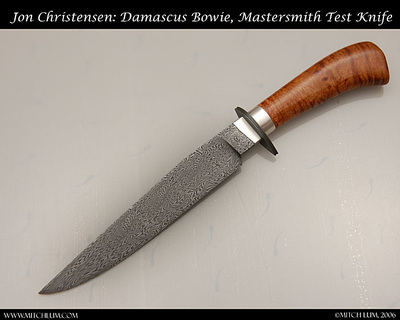 ABS Test Knives The ABS (American Bladesmith Society) is a non-profit organization dedicated to preserving the art of the forged blade. 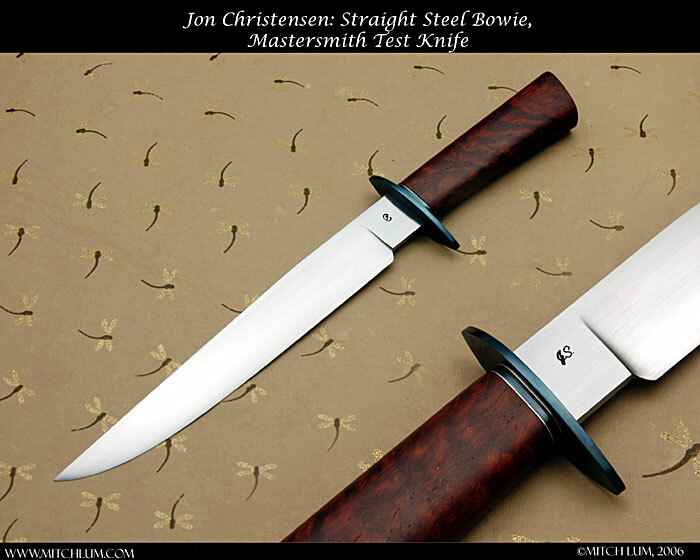 They have three levels of competency for knife makers: Apprentice, Journeyman and Master Smith. 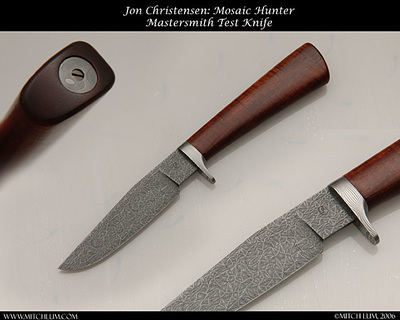 The Journeyman and Mastersmith ratings both require passing a performance test and judging panel. The performance test consists of 4 elements. Rope cutting: tests the edge geometry and sharpness. Wood chopping: demonstrates edge toughness. Shaving hair: demonstrates edge retention. Bending: tests the applicant's ability to heat treat a knife with a soft back and a hard edge. Once the performance test has been passed, the maker must then submit 5 knives to the judging panel. My Mastersmith Test Knives passed my performance test with mastersmith Ed Caffrey in 2005. The following 5 knives passed the judging panel's critique at the 2006 Blade Show. I was also honored with the B.R. 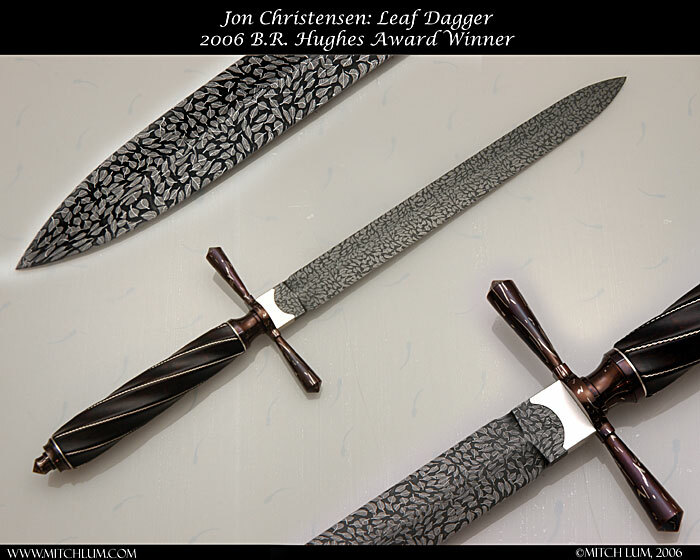 Hughes Award, given for the best knife submitted by a mastersmith applicant.